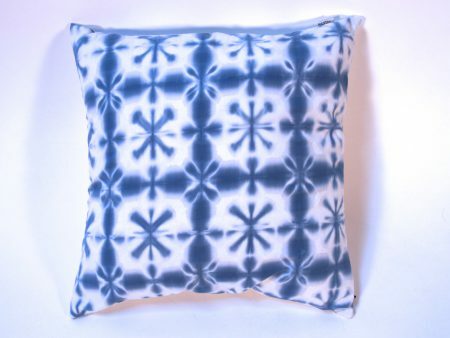 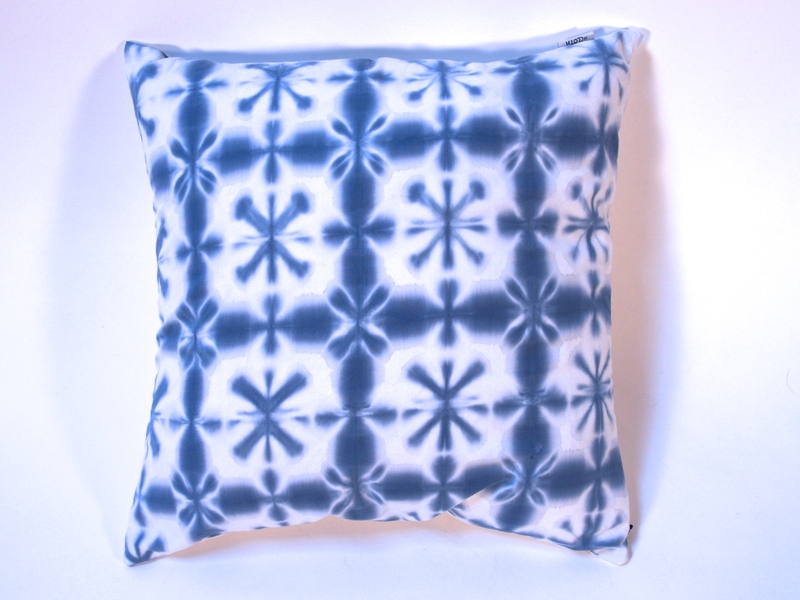 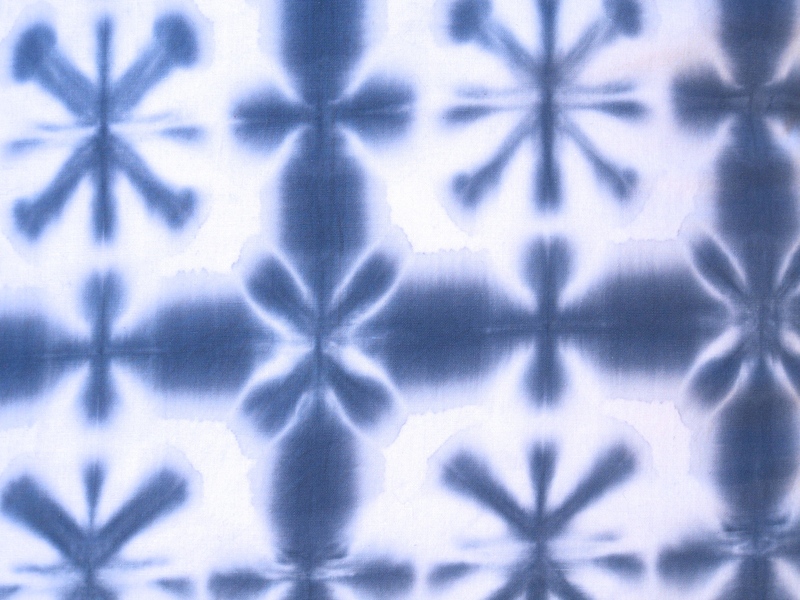 Shibori is the Japanese name for cloth that is prepared to resist taking up color when immersed into a dye bath, either by tieing in various ways, stitching, or folding and clamping. 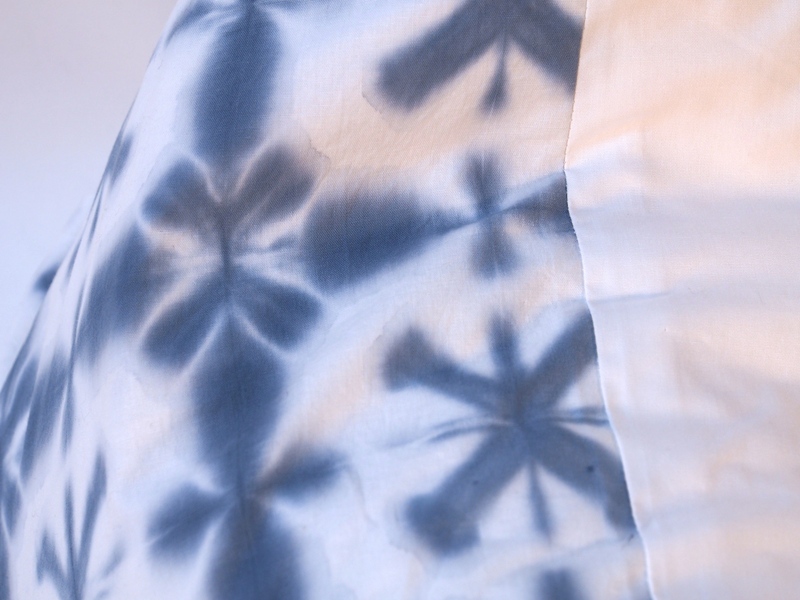 Itajime is the specific name for folded and clamped shibori. 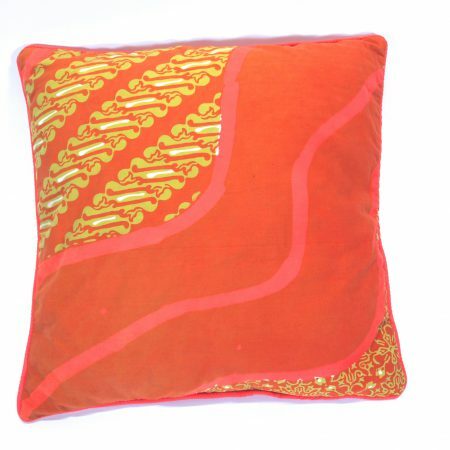 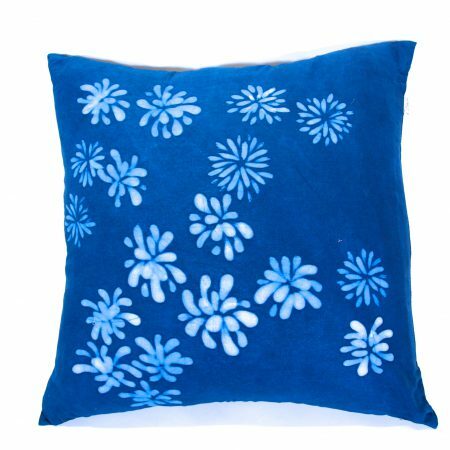 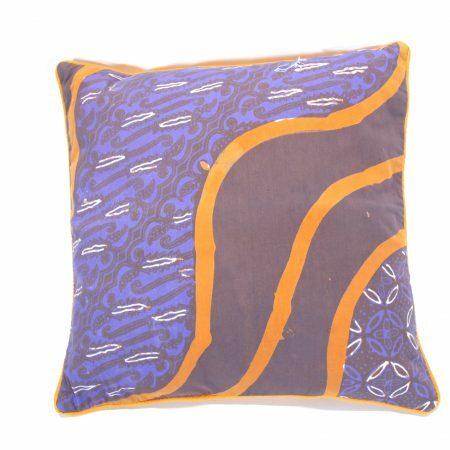 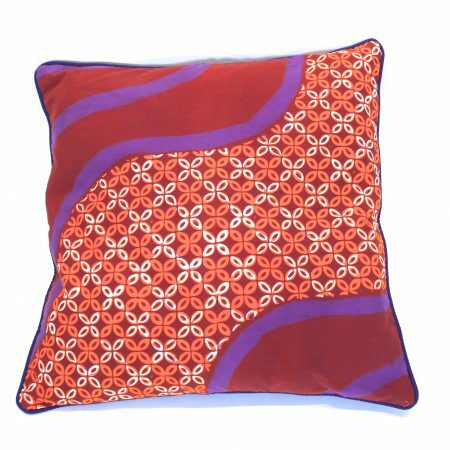 This pillow is 18″x18″, 100% cotton, solid dark blue backing, pillow cover only (without insert).